Very polite, quick efficient excellent value. Helpful and prepared to discuss alternatives even though Booked Appointment did not result in a sale. Will definitely return shortly to have work carried out. swift courteous service, and no pressure to make any unnecessary purchase. Extremely accommodating, polite and helpful - excellent service and fitting. Provided me with a good quality tyre at a competitive price. Jon and his team were really helpful, friendly. Finding that I required 2 front tyres prior to travelling to the continent. The staff ordered my requirement and delivered on time. At all times the staff were very courteous and helpful. Excellent service. I booked in for new pads but only needed a sensor. Very honest thank you. A super friendly service with informative sales people who really know their stuff! Helpful staff, efficient job, fair price. Very friendly and helpful and also very trustworthy. Could not fault the service at the Lincoln store. Very helpful and informative. the service received at your Lincoln branch has always been expellant fast, friendly, and professional, totally recommended, I run a van and a car would not go any were ells. Helped a lot with my tyres. i will now take to the lincoln branch for my mot and oil change. thanks! Good price and quick service. Staff are extremely helpful and not at all condescending when explaining 'car stuff' to me as I know nothing about them! Have always found the staff at National Tyres to be honest and get you a great price,when many of your competitors are overpriced and don't offer as efficient service. prompt and quick fitting, online prices very competitive, have bought last 2 sets of tyres at National through the aatyres site. Helpful service told me what the problem was. I found the staff very accommodating and helpful. Had received quote for exhaust from other garage. Was shown exhaust at national. Nothing wrong with it. Broken bracket they fixed it. Replaced 2 tyres. This day and age it's nice to find somewhere that won't rip you off. Excellent service. Have been spreading the word. Use national. Well done Stephen Christopher and Jonathan Copson. FRIENDLY AND HELPFUL STAFF. JOB WELL DONE WITH A GOOD PRICE. Very helpful, professional. Couldn't fault the service I received. Fast efficient service, nice premises. The men that served me with friendly quick and efficient. The service was professional and honest. I felt that the advisor I spoke to was cry informative and the work was carried out quickly. Excellent customer service. Good advice about types of tyres without being pushy. Friendly staff, great aftercare and an adaptable nature. 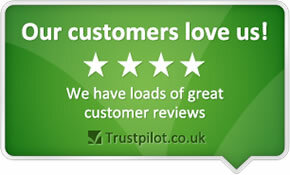 Very friendly and knowledgeable, costs were competitive,work was carried out to a high standard. Used National before, good service and help and very honest. they were honest friendly and quick. my daughter brought in my car for me this week and the staff where very helpful explaining the need to have alignment and because I was ill she had to ring me ask if this was ok, she said he showed her the problem and was very good and quick in sorting this out.I would use you National again. Immediate service, convenient location, nice staff. Excellent customer service delivered by Stephen Christopher at the Lincoln branch. He was very friendly and helpful. The work was carried out quickly, efficiently and the price was very reasonable too. Would highly recommend and will be back! Care taken by Stephen Christopher to explain front wheel tyre wear problems, including showing me the extent of misalignment, the correcting the adverse Toe - out problem which caused wear on inside of treads. Excellent service by the ran in Lincoln. Friendly efficient staff who can't do enough to help. So pleased with the way I am looked after whenever I visit. Excellent value for money. Helpful and friendly, good price, got the part in that I needed very quickly. Served by Steve who was very good. Very easy to find and park. Good price, polite staff comfortable waiting area. The tyre change on the morning of 9th July went without a hitch. Friendly, helpful and honest staff. Went out of their way to help me. Profession and courteous, speed of service at reasonable cost. I thought the service was top notch, and the work was carried out quickly and professionally. They were polite and they kept me informed through every step of the process and they enquirer if I would like any of the extra bits of work doing before they proceeded to do it. The tires that they provided are a good quality and they were the cheapest that I found. The work that they provided was done swiftly so that I could get on with the rest of my day. Very friendly, very quick, very reasonable price. Very helpful, friendly and efficient service. Fitted my tyre immediately, minutes before closing. Sound advice on options and quality of tyres. the 2 guys who looked after me and my car were stars.Steve and Jonathan.. quick and very freindly with their services. Good helpful advice on tyre condition. No pressure to replace even when both fronts were just legal. I was completly satisfied with the service provided.so far everything is ok, will go again for work to be done. Superb service from polite staff. I required an unusual size of tyre, your depot ordered it, it arrived exactly on time, at a price to match your competitors, and was fitted when promised, all round good customer service, well done Lincoln depot. (Adam Knight). Efficient and helpful service doing an oil chang. The only reason it's not 10 is that the oil is is only halfway up the dip stick, so I'll have to make another visit to get it topped up! And the price is a little steep! other than that I am very pleased with the professional and helpful service I received. The staff at the Lincoln branch have always been helpful when I have asked for their help both for the car and for the bike, and seem to try to find the best possible price for the product required. Competitive prices, friendly service, quality of work carried out. really quick and efficient service, very professional, explained problem and options and got a really good price deal too! Good customer service and local. THE SERVICE I RECEIVED AT YOUR LINCOLN BRANCH WAS EXCELLENT. THE WORK DONE WAS PERFECT AND THE STAFF WERE VERY POLITE AND HELPFUL. THE PRICE WAS BETTER THAN ANYWHERE ELSE AND I WAS DEALT WITH VERY SPEEDILY. THANK YOU. Very good service, very helpful staff. Very good,efficient service which was reasonably priced. We had a problem on a Sunday morning that we needed dealing with quickly and your firm came up trumps. A polite and matched quote for 2 Avon tyres that were subsequently fitted with courtesy and speed. Very good & speeedy service. No hassle. Very good price for a quality tyre. fast and efficient no fuss. Good service & price but branch out of immediate area. I have been happy with the service I have received. I have used vouchers that you have sent to me.